Presented without commercial interruptions, this "United Nations Special" was sponsored by the Xerox Corporation, the first of a series of Xerox specials promoting the UN. 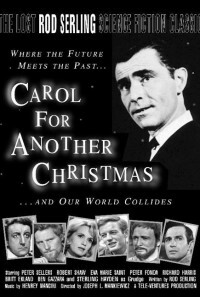 Director Joseph Mankiewicz's first work for television, the 90-minute ABC drama was publicized as having an all-star cast (which meant that names of some supporting cast members were not officially released). 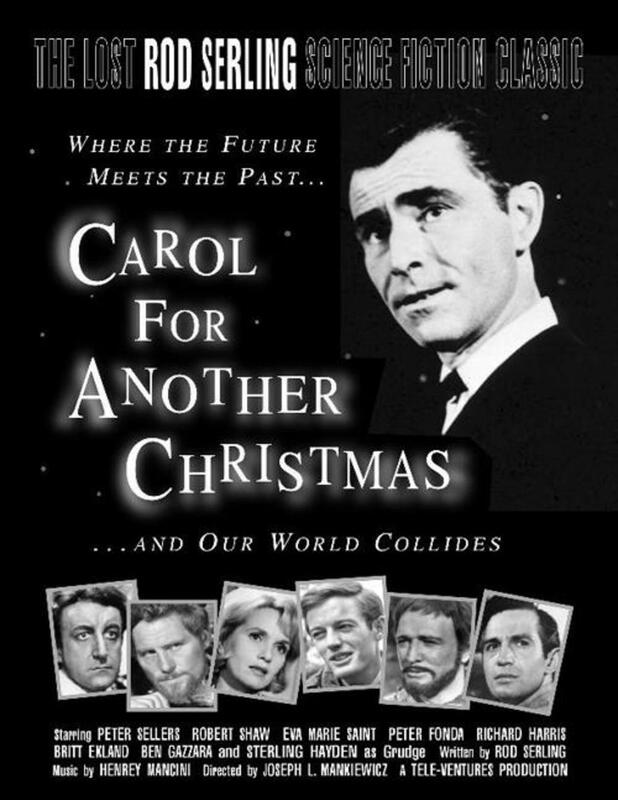 In Rod Serling's update of Charles Dickens, industrial tycoon Daniel Grudge has never recovered from the loss of his 22-year-old son Marley, killed in action during Christmas Eve of 1944. The embittered Grudge has only scorn for any American involvement in international affairs. But then the Ghost of Christmas Past takes him back through time to a World War I troopship. Grudge also is visited by the Ghost of Christmas Present, and the Ghost of Christmas Future gives him a tour across a desolate landscape where he sees the ruins of a once-great civilization. Regions are unavailable for this movie. Click the "Watch on Netflix" button to find out if A Carol for Another Christmas is playing in your country.